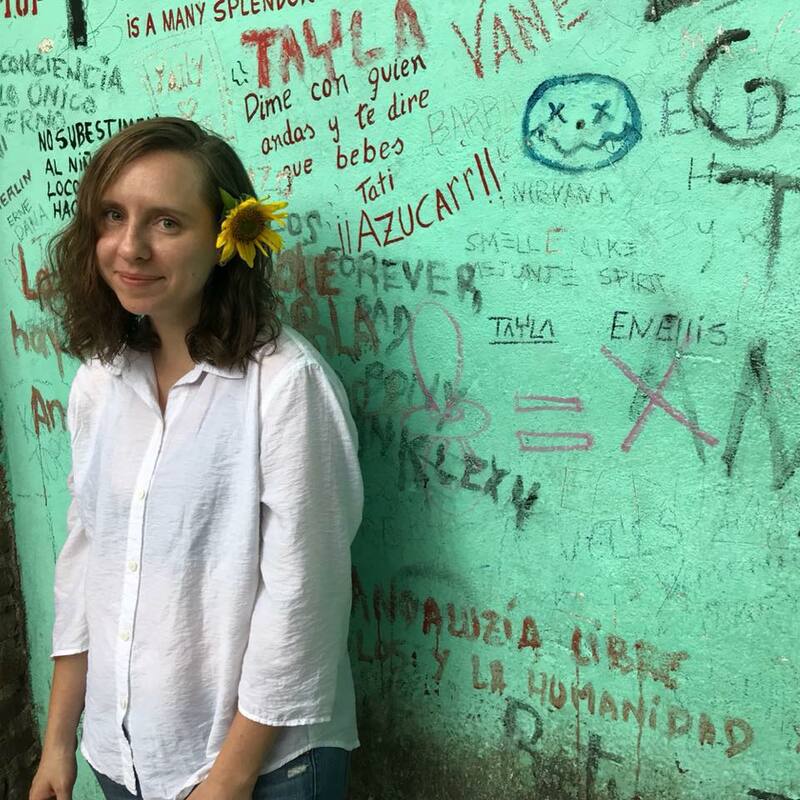 To start off our blog posts for 2018, we are delighted to feature a moving essay by Liliana Ashman about how her bridge to Cuba has taken form over the years, moving from a sense of innocence about the island to an adult woman’s decision to make it part of her life. As a young girl, she went with her father to Cuba, where she felt “the heat and smell of the earth washing over me in one big gulp.” Now, as part of the generation of Cubans born in the United States to Cuban parents, she has become the Advancement and Partnership Director of the CubaOne Foundation, working to create opportunities for others of her generation to travel to Cuba to form meaningful cultural bridges and offer support when emergencies take place, as with the recent Hurricane Irma relief effort. Cuba holds many secrets for Lili, but she is committed to the importance of connecting with the island firsthand, and for this we salute her, and are glad to be working with her and the rest of the CubaOne team to bring the lived experience of Cuba to the next generation. “Are you Cuban-American? Or American-American? Or?” the immigration officer asked as she led me into a back room flipping through my passport. I had just arrived at the airport in Santa Clara. This was my third trip to the island in the last six months. I had last visited Matanzas with my father when I was eleven, the same age he was when he left Cuba in 1960. He left Havana on a Friday and the following Monday was attending his first day of middle school in Brooklyn without knowing a word of English. I grew up hearing stories about my father and his primo sitting on the wall outside the house, watching cars driving by and making up games to count each of them. To this day, my father can name any car by its model and year at a glance. In 1959 the revolutionaries had marched past their home in Matanzas, celebrating their victory, flinging bullets as souvenirs to my father and kids on the street. I often have to remind myself that my father and his generation lived through a revolution, a word that I mostly associated with history books. My abuela came to Cuba in the 1920s as a teenager. She married and had a son, Jaime. Then her husband passed away and she returned to Lithuania, where she met my abuelo. She asked if he wanted to move back to Cuba with her and he said yes. What was to be a temporary move, and an escape from the growing anti-Semitism that would lead to the Holocaust, became permanent as years turned to decades. 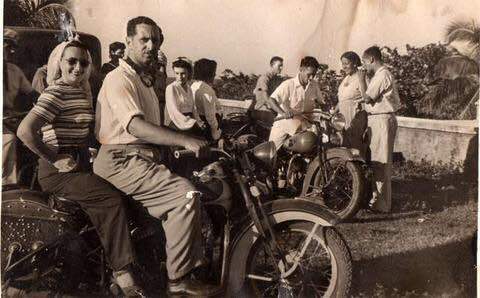 They became Cuban citizens and eventually formed part of a Harley Davidson motorcycle club, calling themselves Harlistas. My abuelo, Victor Ashman, ran for a city council position and decided that his name needed to sound more Cuban, so he legally changed it to Victor Larriga, a reference to his origins in Riga, Latvia. My father returned to Cuba for the first time after thirty-seven years in 1997. It was one of those pivotal moments in my childhood. The local paper, the Santa Fe New Mexican, wrote a front-page story. I remember his emotional phone calls to my mom as he rediscovered his country. Afterwards we had a Cuban renaissance in our house: ropa vieja, flan, and the Buena Vista Social club blasting on the stereo. Cuban artists came to visit and slept on our couch. Later I’d see their work on the walls of the Museo de Bellas Artes in Havana. My father, though originally Jewish, also became interested in Yoruba culture, and the fifteen-minute drive to school in his 1969 Mercedes Benz entailed listening to music of the orishas, much to my brother’s and my chagrin—we didn’t yet understand the unique beauty of this heritage we shared. 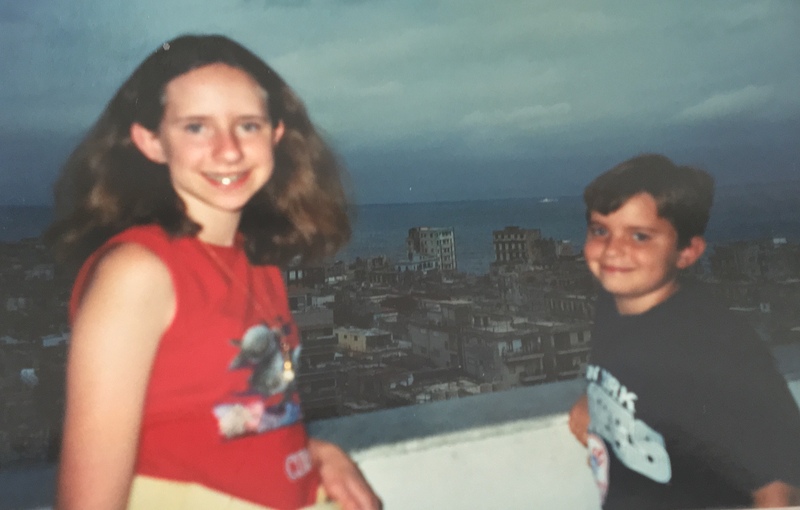 When I first arrived in Cuba in 1999 at the age of eleven, the island was full of wonder to me. I was a child and took in Cuba for the first time with that innocence, exiting the plane onto the tarmac, the heat and smell of the earth washing over me in one big gulp. Havana, not yet hit by the tourist boom and just coming out of the Special Period, was hustling back to life. In Pinar del Rio, fern-like leaves, dormideras, curled at the touch of my fingertips as if by magic. In Trinidad, the sea was filled with starfish. A month after returning to Santa Fe, a boy named Elian González was pulled from the sea in Miami, and that sense of wonder began to give way to more complicated feelings. I returned the following year, not knowing this would be the last time I would go to Cuba until I was 26, when I traveled with my parents as an adult, nervous that perhaps my youthful views of the island would no longer hold up. Two days after we returned to the U.S., President Obama announced that the U.S. would restore diplomatic relations with Cuba. After that, I returned again and again, reliving that arrival each time, gulping in the heat and the earth. 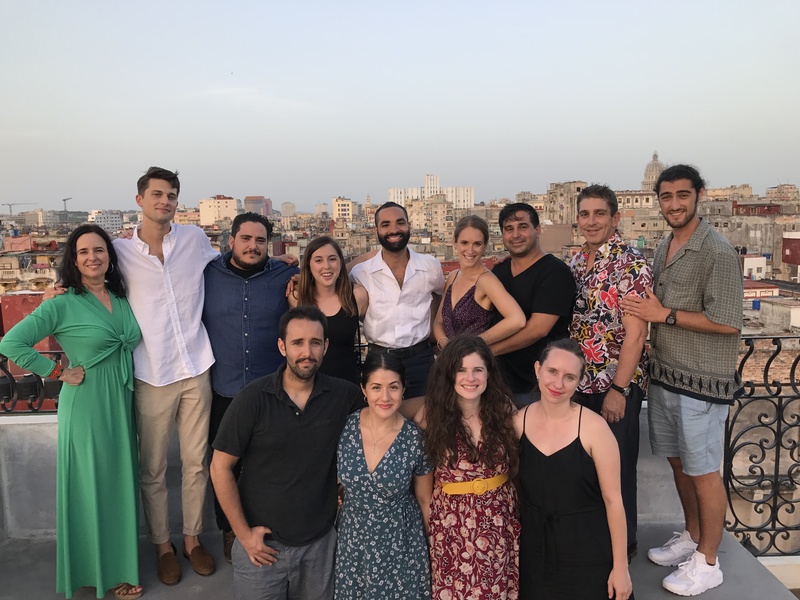 This past summer I had the opportunity to travel to Cuba with Ruth Behar and Richard Blanco as part of CubaOne Foundation’s program, Tu Cuba, where we brought eleven young Cuban Americans to the island for the first time to connect with their heritage and engage with their peers. The trip, focused on literature, was a year in the making. We had first discussed the idea over the phone as I paced around my Brooklyn apartment in the sweltering summer heat, drenched in sweat, in part because I didn’t have air conditioning, but also because I was nervous to be speaking with such esteemed writers. I would learn, however, that while Ruth and Richard are such leaders in their fields, the only way I needed to feel in their presence was humbled. Their generosity of spirit made it feel as though we’d already known each other for years. In preparing for the trip I read their books and learned that I had much more in common with them than I could have realized. As a child Ruth had survived a harrowing car accident, while I had had heart surgery. Richard had a pet rooster named Rey and gave away eggs on the streets of Miami, while I had a pet rooster named Figaro and sold chicken eggs for a profit on our road. Ruth had said that in a way, CubaOne was the child of “Bridges to/from Cuba,” their work, far ahead of its time, setting the stage for us. It was this sense of responsibility to my generation that had driven me to join CubaOne after taking my friend Daniel, one of the founders, on his first trip to the island. Now, here we all were together in Havana, still drenched in sweat, but at least there was that famous ocean breeze. I relived that first arrival to Cuba through the eyes of our participants, seeing the island for the first time, peering out the window as we descended into José Martí International Airport, the earth so red, royal palms rising like sentinels from the terracotta ground. Have the colors always been that vivid? Throughout the trip I saw myself in each of the participants as they experienced moments of self-discovery, allowing themselves to be both open and vulnerable to this paradoxical place, where we searched together for common ground. 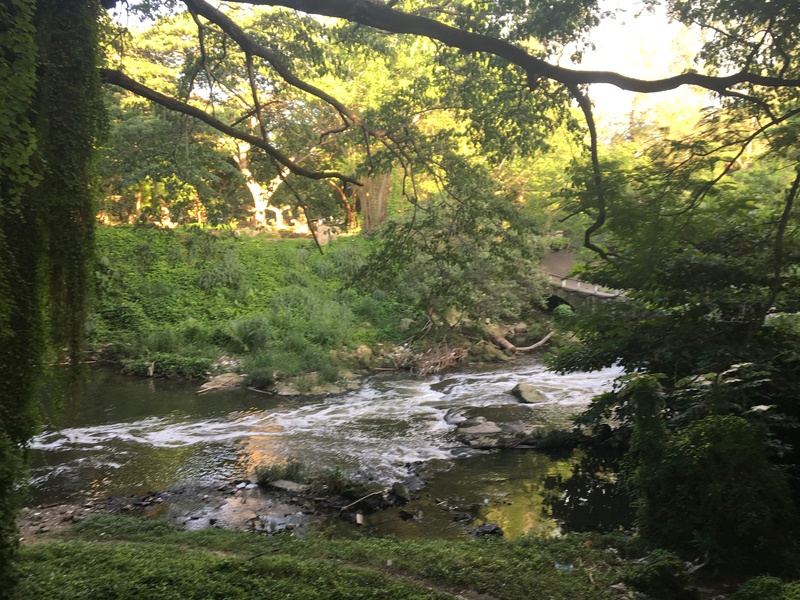 We visited the Almendares River in Havana Forest, an unexpected stop during our drive through the city. My father’s half brother, Jaime, had been killed here, which I had recently learned after my father and I watched an episode of Four Seasons in Havana on Netflix and a murder took place in the forest. The next day my father broke down sobbing, telling me how Jaime and his girlfriend had been stabbed to death. There are different versions of what happened, one being that they were killed by a jealous ex-lover who was a soldier with Batista, another that it was a murder-suicide, or a double suicide like Romeo and Juliet. No one in our family has come back to this place, and I had not expected to come here either. I looked out over the river letting the sound of the rushing water overtake my thoughts. I had expected for others to have emotional moments connecting with their past (and they did) but as a coordinator of the trip and veteran of traveling to Cuba, I had forgotten that there were still so many mysteries to my own roots. Or perhaps I thought I had already discovered everything there was to know. I had visited Jaime’s grave in the Jewish cemetery in Havana, but as I watched vultures eerily circling the river, I realized there was more that remained to be revealed. One morning, I met Ruth at the Patronato synagogue, the same one my family attended. Immediately it felt familiar, even though I had never been there before. Ruth and I exchanged Shabat Shaloms, a phrase I have rarely said, let alone in Havana. My Jewishness in many ways is as mysterious as my Cubanidad. My mother is not Jewish, and having not converted, technically I’m not Jewish. I didn’t have a bat mitzvah. But I look Jewish and not at all Cuban; a hooked nose and green eyes (though some say that green eyes are a true sign of a Matancera). I know more Spanish than Yiddish and I eat the forbidden but delicious lechón. I am between Jewish and Cuban, between American and immigrant, between the young girl visiting Cuba for the first time and the woman I’m becoming. I intentionally spell Cuban American without the hyphen, as though removing it will somehow erase my own ambiguity. 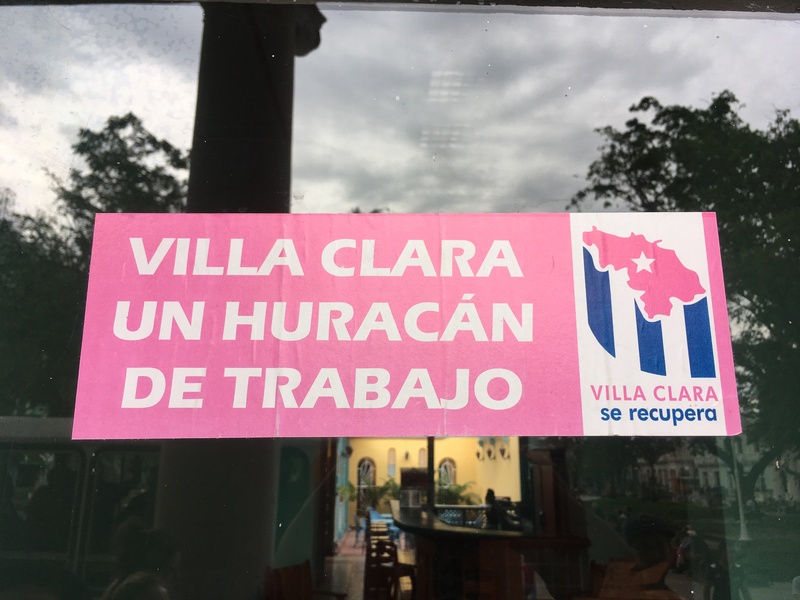 My most recent trip to Cuba was with CubaOne’s Hurricane Irma relief effort, where we brought forty volunteers to the three most affected provinces. I was in the province of Santa Clara, a new part of the island for me. Everything about this trip was different; I quickly learned that relief efforts are muy complicado, both in the technical and emotional sense. For the first time I felt like an outsider looking in on a country that I had grown up with all my life. Surveying the damage from the hurricane and speaking with families who had lost their homes was challenging to process, and months later, the trip still lingers in my mind. I experienced the island at a greater intensity than before; it was humbling, though at times I felt lost and naive. A tropical storm hit Santa Clara, the rain was relentless, and I paused to imagine how frightening a category five hurricane must have been. Soaked and weary, our group took refuge in El Mejunje, a local community arts organization and a nightly hang out spot. A man and woman approached me; they were tall and thin, their skin blending into the night. After introducing themselves as brother and sister, the man placed his hand on my chest and, peering into my eyes, stated, “You have a good heart.” I smiled, thanking him, wondering why he had sought me out. His sister nodded, “He knows all about these things.” I noticed she was cradling a tiny kitten in her arms. He squeezed my hand, “You are my sister now, and I am your brother.” Around me people sipped rum and danced to the music, the rain finally letting up. I was transported back to a night in Havana in July, dancing with Richard and Ruth on a rooftop wordlessly, swaying to the beating drums and bells chiming like silver seashells. And then, transported back again to the leather seat in my father’s old Mercedes and the music of the orishas. When my father and his parents left Cuba, they brought the one suitcase they were allowed. Each time I return, I carry more than that suitcase could ever hold. My memories weigh heavy as the heat, lugging them back and forth. I carry the glimpses of our family that I saw in black and white photographs my abuelo had collected in a tattered black book, and the stories from my father that seem to have layers which, as time goes on, become more detailed and intricate. With each visit, I find more meaning, while also complicating what I thought I had understood. I may never know why my abuela and abuelo chose Cuba, perhaps in a way Cuba chose them, but without that choice I would not be the person I am today. I was not able to know my abuelos as well as I would have liked, to make my own memories with them, or to see them have an opportunity to return to Cuba. I have carried them with me through my own discovery of the strange island they once called home, and will continue to do so, finding answers along the way, bridging the gaps, slowly unpacking all of the secrets this place still holds. Liliana Ashman is a creative thinker, cultivator, and collaborator. Her interest in the intersection of arts and social justice brought her to work with Smashing Times Theater Company in Dublin, Ireland where she lived for three years before returning to New York where she began her career in development with Rattlestick Playwrights Theater. Her Cuban heritage and commitment to the next generation of Cuban Americans led her to the CubaOne Foundation where she has served as Advancement and Partnership Director since its founding in 2016. She currently lives in Santa Fe, NM.